The chipboard shapes and patterned paper are Cosmo Cricket's Material Girl--I knew I was saving those scissors and sewing machine for something :) The cardstock is Coredinations (from the Cosmo Cricket Classic stack) and the tag is Elle's Studio. 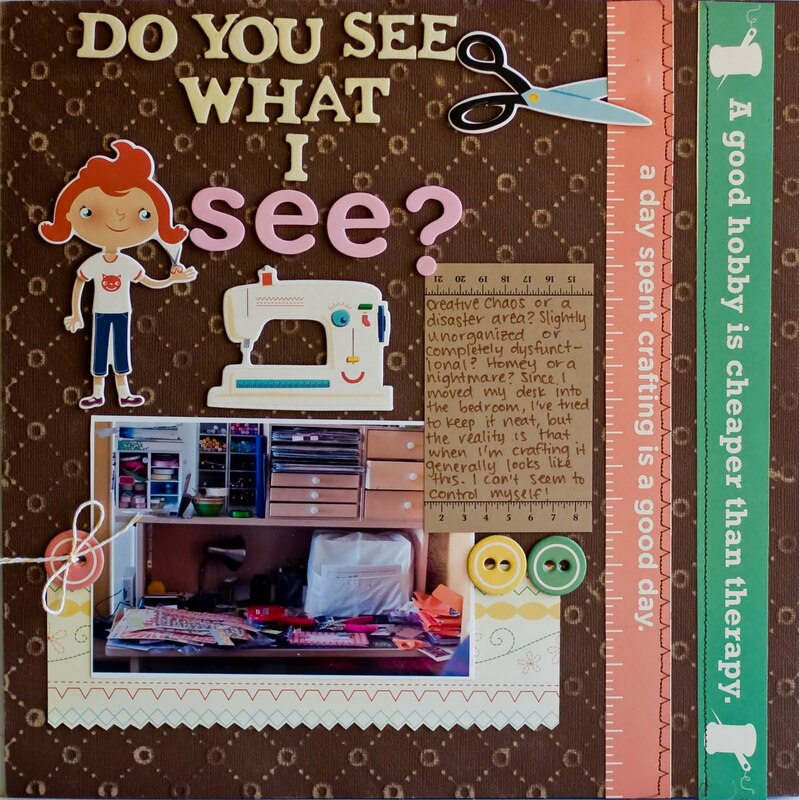 Go on over to ScrapTiffany and check out the other designers scrap spaces--most quite a bit neater than mine :) And if you want to take the challenge, email Tiffany your scrap space LO by Friday. In other news, I wanted to share this Jillibean Soup layout I did. I love the new Jillibean Soup Summer Squash papers. The colors are so fun and the patterns are fabulous as always. It may be hard to see, but I added MANY coats of Glossy Accents to the lanterns to pop them up and make them shine. I added more Glossy Accents to the little punched butterflies. I would add a layer and leave it for hours and add a layer and leave it overnight--you have no idea how hard it is for me to use that kind of patience lol!!! 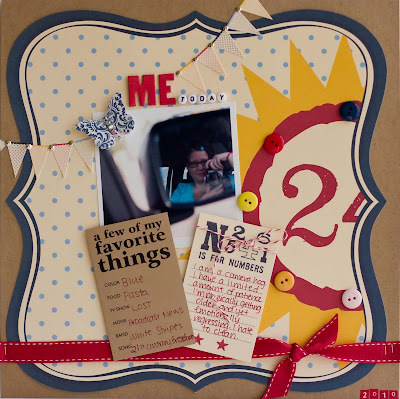 Ohh, I LOVE all these pages, but I seriously think you rocked the new Jenni Bowlin below! Fab page about you, girl! :) I'd love to find some new Jillibean too, cause those brite colors are wonderful...congrats on being featured on their Soup Talk! hi ! i have just found out about your blog by reading sheri's blog! i am french! i love what you create!! surely in your recent post my favorite lyaout is also the jenni Bowlin one, i like the design of it !very nice! These are fantastic! You've got some great things going on here! These are great!!! 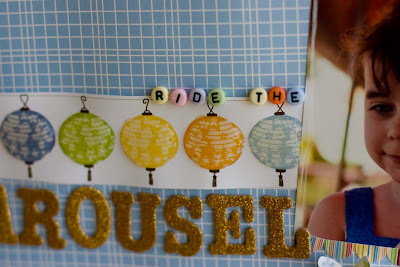 I really love that what you did with the paper lanterns!! 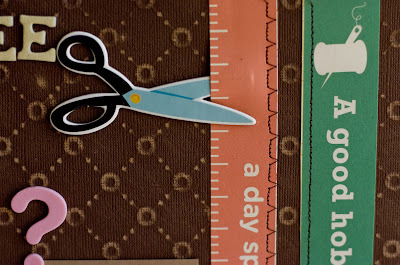 I love the scrap space LO, I saw it the ScrapTiffany blog the other day. 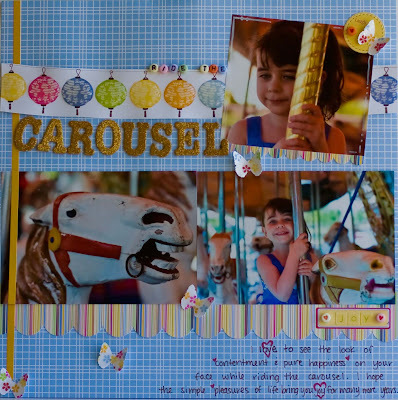 I have that chipboard and haven't figured out what to do with it, may have to scraplift your idea. :). 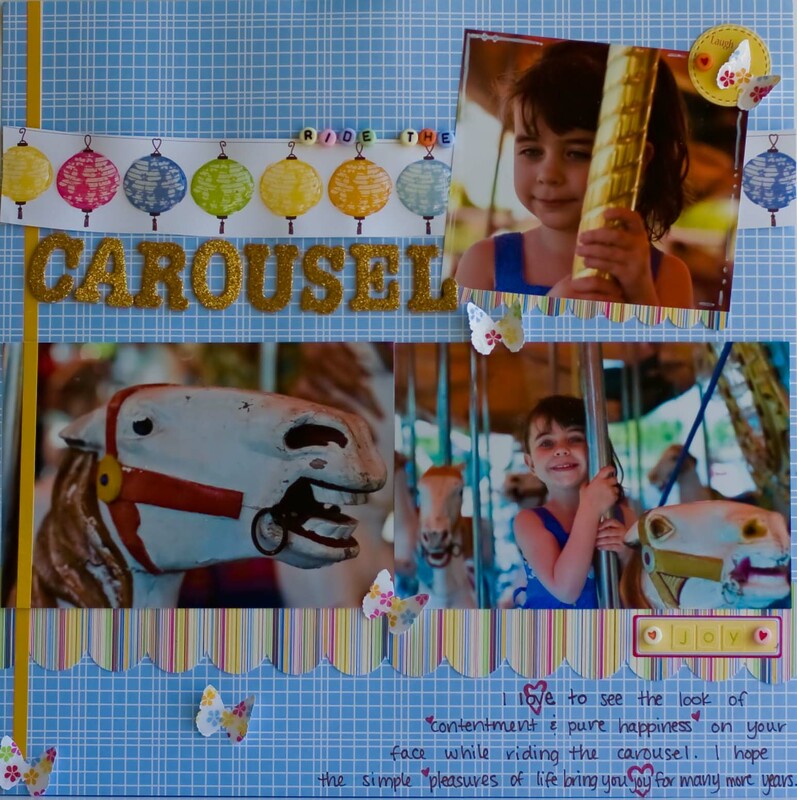 Love the Playdate LO too and what you did with the Jillibean papers. Congrats on the JB feature. Rebecca your work is amazing as always!!! Love checking out your blog.